The India U-16 National Team maintained their winning streak when they defeated a strong Yemen 3-0 in the five-nation WAFF U-16 Championship in Amman, Jordan. After Central Defender Harpreet Singh headed the first one in the 37th minute, two goals in two minutes immediately after resumption took the issue beyond Yemen’s reach. “We are extremely proud of them. They came up with a superlative performance today and executed it to perfection. The tournament has helped us gauge where we stand and we go back much richer in experience,” he stated post-match. The tournament was part of their exposure tour organised by AIFF in conjunction with SAI as preparation for the forthcoming AFC U-16 Championship Malaysia 2018 which is to have competed among the top 16 teams in Asia. The qualified teams in the AFC U-16 Championship have been divided into four groups of 4 teams each with the top two from each group advancing to the quarterfinals. 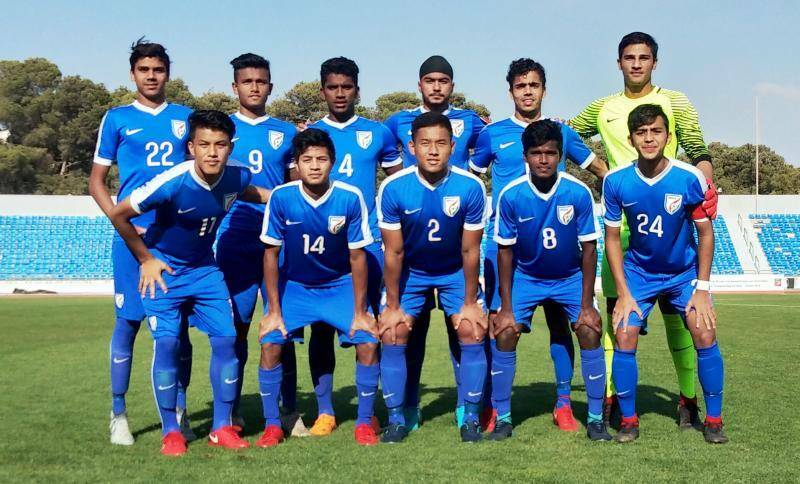 India has been clubbed with Iran, Vietnam and Indonesia in Group C. The four semi-finalists get a direct ticket to the next edition of the FIFA U-17 World Cup in 2019.